Tanzania in its current geopolitical form is a recent phenomenon, but the history of the region stretches back quite literally millions of years. Some of the oldest fossils and evidence for early man have been found in this East African land, the Cradle of Mankind. In more recent history – that is to say, in the last 10,000 years! – the region was populated by various peoples, chief among them Bantu-speaking people, whose culture and language form the core of the Swahili civilization and the Kiswahili language. Tanzania broadly has two seasons: the dry season (June to October) and the wet season (November to May). Click here to know more about Tanzania’s weather, climate, and the best time to go to view the migration. Sangeeta’s Note: It has been my good fortune to visit some of the more famous and less famous Tanzania safari parks over the past few years. My first visit was to the remote parks of Mahale, Katavi, and Ruaha. I figured that because I had already been to the Masai Mara, and because the Mara is an extension of the Serengeti eco-system, I could skip the Serengeti. Very soon I realized that it doesn’t work that way. There are no ‘substitutable’ safari destinations. Indeed, no two safaris, even if they are to the same destination in the same season, will produce the same sightings or the same emotions in you, the safari-goer. To remedy the error of my ways, I spent a milestone birthday in the Serengeti in 2011. The gods were kind. On the day of my birthday, I woke up to a cacophony of gnuing and grunting and hoof beats. Hundreds upon hundreds of thousands of wildebeest had surrounded our simple mobile camp in a secluded northern section of the park. This mega herd of wildebeests, speckling the hills as far as the eyes could see, was en route to its hazardous crossing of the Mara River and the sweet grasses that beckoned from the nearby Masai Mara. I do not have adequate words to describe my feelings at the time, but I can certainly tell you this: Tanzania’s iconic parks are a league unto themselves. You will find yourself coming back to them over and over again. 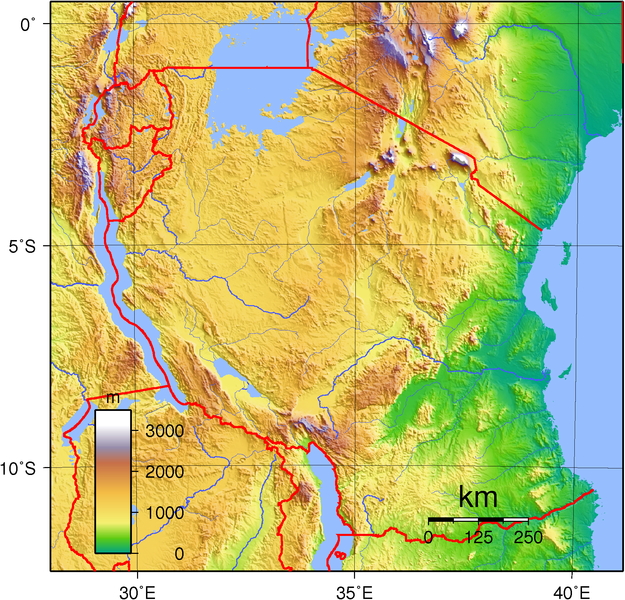 The diverse Tanzanian landscape is characterized by three basic regions: the inland plateau, the highlands (to the north and south), and the islands and coastal plains. The Great Rift Valley cuts from north to south through the central portion of the country. The capital city of Dodoma lies on the plateau, but the biggest city, Dar es Salaam, is on the eastern coast, only a hop away from the island of Zanzibar. Tanzania is also home to a number of record-holding formations: Mt. Kilimanjaro, Africa’s highest peak; the Ngorongoro Crater, the world’s largest inactive, unbroken, and unfilled caldera; Lake Victoria, Africa’s largest lake; and Lake Tanganyika, Africa’s deepest lake. This diversity makes a Tanzania safari tour a surprisingly esoteric experience.